Strictly speaking this is a wry Welsh film comedy. It is uneven but engaging. If you have seen writer and director Jamie Adams’ early films [Benny & Jolene and Christmas Time, 2014) you will know if it is your sort of comedy. 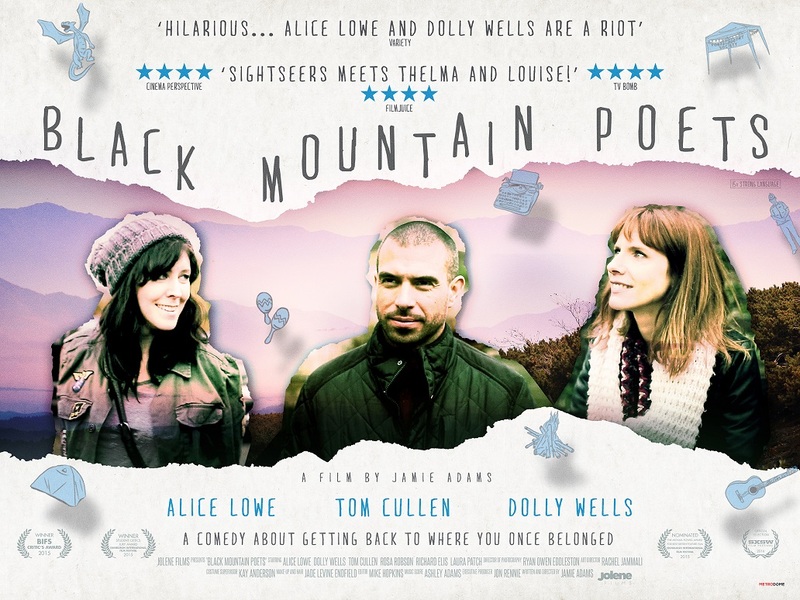 The basic story is set on a weekend rural ‘Poet’s Poetry Society’ event. In fact there is only a limited amount of poetry, with two complete poems, one in Welsh. The film is really interested in the characters. At the centre are sisters Lisa (Alice Lowe) and Claire (Dolly Wells). They are excellent, as are the supporting cast which includes another pair of sisters. The event and the attending poets are whimsical and slightly absurdist. The film has an improvised quality, it was shot over five days. The continuity is not so much full of holes as coming and going as the whim takes the film. The editing has a fragmentary quality, it is as if the audience are listening in to the characters as they wander round. But there is a definite trajectory in the relationships over the four days. Bizarrely the poetry event includes camping on the Welsh hills. This provides innumerable settings for very fine widescreen cinematography by Ryan Owen Eddleston. The film is unconventional and rarely formulaic. There is quite a lot of music on the soundtrack, sometimes unnecessarily so. But the film provides a warm and quietly humorous 85 minutes.